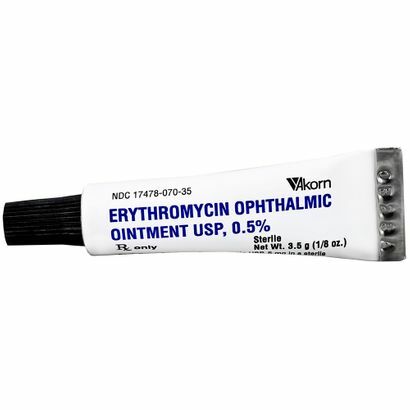 Erythromycin Opthalmic Ointment used for treatment of superficial ocular infections involving the conjunctiva and/or cornea caused by organisms susceptible to erythromycin. For prophylaxis of opthalmia neonatorum due to N. gonorrhoeae or C. trachomatis. 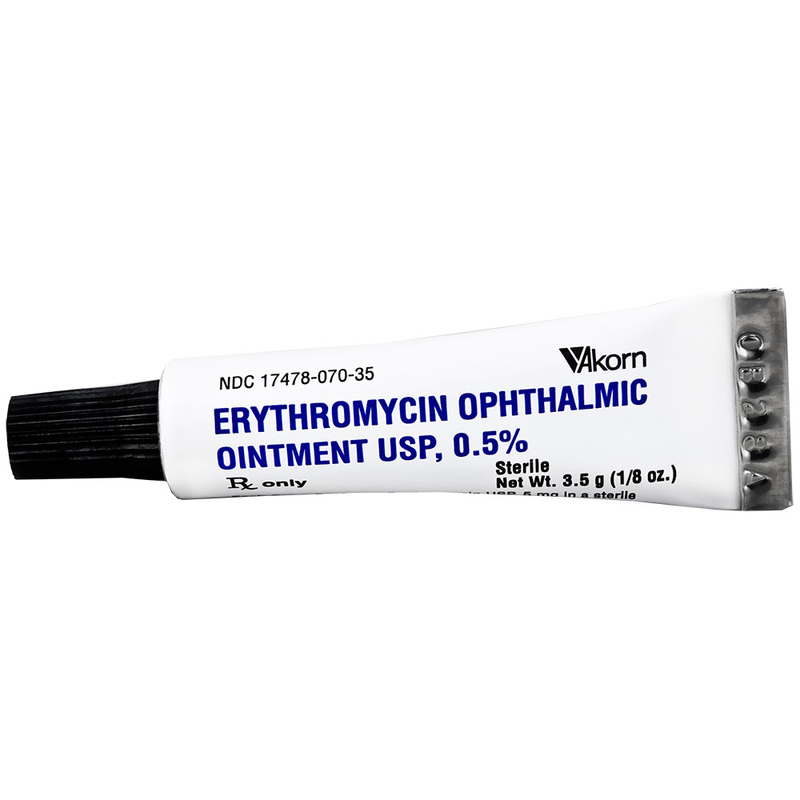 Dosage & administration: In the treatment of superficial ocular infections, a ribbon approximately 1 cm in length of Erythromycin Ophthalmic Ointment should be applied directly to the infected structure up to 6 times daily, depending on the severity of the infection. For prophylaxis of neonatal gonococcal or chlamydial conjunctivitis, a ribbon of ointment approximately 1 cm in length should be instilled into each lower conjunctival sac. The ointment should not be flushed from the eye following instillation.